Produce can be very expensive — and that sticker shock can steer shoppers in the direction of cheaper, already prepared, processed foods found in the center aisles of the grocery store. A recent piece by NPR shines a spotlight on a food stamp program in Southern California that rewards beneficiaries for choosing fresh produce over packaged foods. The program is called Más Fresco and it is improving the health of food stamp recipients by incentivizing better food choices. According to the article, Americans on food stamps spend less of their food budget on produce than those not on food stamps. Advocates of the program hope that, in addition to making healthy choices more accessible, the program may even instill lasting healthy eating habits for participants once they become used to incorporating more fresh foods into their daily lives. 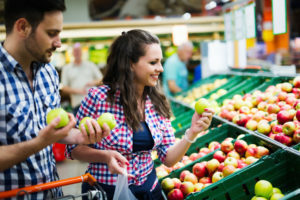 It could be a small but important step towards narrowing the gap between those with the means to purchase produce and those reliant on assistance.